I’m sure you have heard the popular saying, "a dog is a man's best friend," – and it is a phrase that resonates with so many people, for a reason. Our four-legged friends support us emotionally, mentally, and physically in many ways. In fact, it has been proven that dog owners have healthier heart rates, less stress, decreased cholesterol, and are less likely to be obese. With all that our dogs do for us, naturally it is every dog owner’s wish to feed them well, groom them often, and of course, make sure they have a daily exercise routine..
From now until May 31 you will receive two free waste stations with many of our most popular BarkPark agility kits. 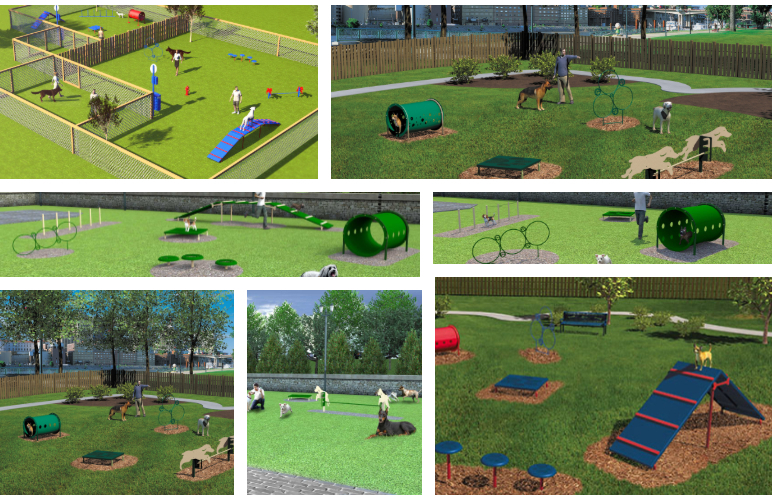 If you have been considering opening a dog park in your neighborhood or community – now is the perfect time. We lowered our prices on a grand selection of kits, so not only are you going to get a fabulous deal on an agility kit, but you also will receive the special offer. Our waste stations are a GREAT addition to any dog park space – as they make it easy and convenient for owners to clean up after their pets so that your park remains clean and orderly. Our courses are based on popular agility obstacles and have been developed to be used by dogs of all abilities and confidence levels. 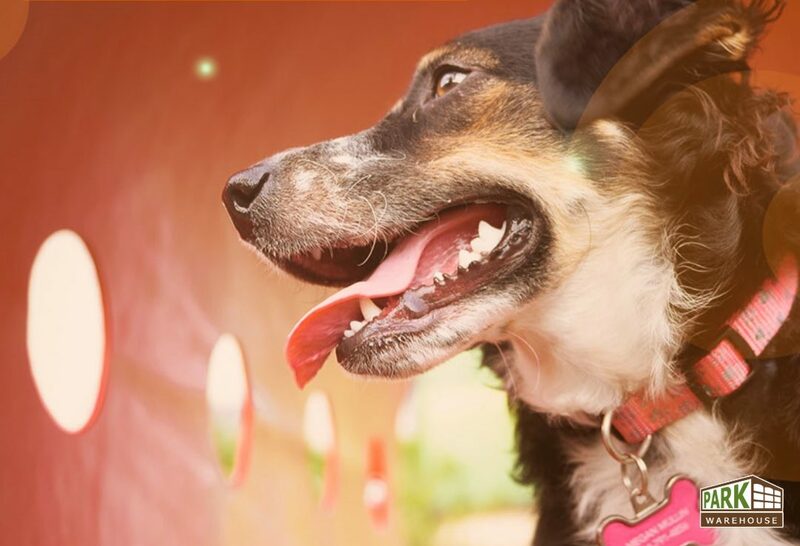 Each individual dog park kit we offer has been specifically designed to fit your needs – from the size of your dog to the specific kind of skills you’d like your dog to learn. EXPERT KIT - Rover jump over, dog walk, stepping paws, king of the hill, paws grooming table, hoop jump, teeter totter, weave posts, and doggie crawl. INTERMEDIATE KIT - Rover jump over, stepping paws, king of the hill, paws grooming table, doggie crawl, and hoop jump. NOVICE BEGINNER KIT - Rover jump over, doggie crawl, hoop jump, and paws grooming table. BEST IN SHOW KIT - Rover jump over, pet waste station, tidy up trash receptacle, hoop jump, doggie crawl and paws grooming table. SMALL DOG KIT - Doggie crawl, small hoop jump, weave posts, and paws grooming table. COMBINATION KIT - Weave posts, pet waste station, king of the hill, doggie crawl, paws grooming table, small dog hoop jump, the regular sized hoop jump, the rover jump over, stepping paws, dog walk, fire hydrant, and an additional pet waste station. RECYCLED NOVICE KIT - Recycled grooming table, recycled dog jump, recycled adjustable ring jump, and the recycled crawl tunnel with dog house. RECYCLED SMALL DOG KIT - Weave posts, and the recycled grooming table, the recycled crawl tunnel with dog house, and the recycled adjustable ring jump. With any one of our complete agility kits, you can suddenly transform your outdoor space into an awesome hangout spot for both canines and their owners. If you are having trouble making up your mind on which kit to purchase, visit our website and give our experienced sales team a call and they will help you find the perfect kit for your space. We guarantee the products we offer, and we value our customers. Your satisfaction along with your dogs is our #1 goal and priority. What are you waiting for? Are you ready to spring into action and start creating that healthier lifestyle for you and your best friend? If so, these deals mentioned will not last forever, so get in contact with us today and purchase the dog park equipment that will be just right for you and your pet. After all, it's the best season to go outside and play. Park Warehouse sells high-quality commercial site furnishings for all types of indoor and outdoor facilities like parks, office buildings, schools, and playgrounds. Customers can purchase benches, bike racks, picnic tables, trash receptacles, bleachers, lockers, grills, dog park equipment, structures, message centers, umbrellas, traffic equipment, and more. This entry was posted in Dog Parks, Municipal Amenities, Park Amenities, Site Amenities. Bookmark the permalink.